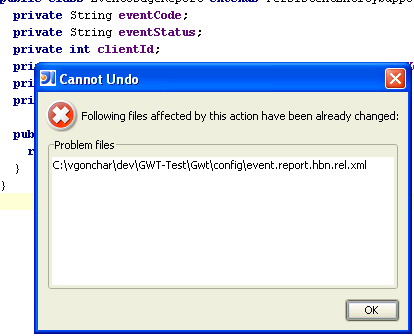 What does it take to get rid of this error - Cannot Undo. If I go to the local history the old code is there so what is the problem? Please fix this, it is very annoying and I'm begging for this at least for the last 2-3 versions.